In this article I will tell you why it is important to have set goals and why they should be properly defined. You should set yourself goals in order stay motivated. 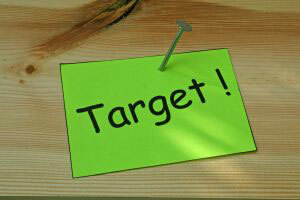 Having specific targets which are challenging, yet achievable, will give you something to work toward. Developing websites can sometimes be a lonely business – often there is less of the social interaction that is common in other office environments; particularly if you are working from home. Procrastination is the curse of many web developers – myself included. Having weekly and monthly goals gives you something to aim for and should help keep you motivated and focussed. For your goals to be useful, they must be specific and clearly defined. What are your goals? How often do you set yourself targets, and do you find them effective in motivating you and helping you further develop your websites? Next post: Are forum post exchanges beneficial? I think setting goals is a very impact part of success in any field. The problem is that I never get around to doing it. My goals change daily depending on the circumstances. While this means that I focus on the important things, I often forget about everything else. Thanks for your comment, Russ. I am glad you enjoyed this short article. I must admit that I often fail to write down my goals – when I do though, I find that I work that much harder to achieve them and go through my most successful periods of productivity. Give it a try and just see the results for yourself! What? When? and then the gameplan. Hmmm, another thought provoking post, Martin. I don’t really have any goals, I must put it on my “to-do” list. I just enjoy helping people and providing a safe environment. Vijay – Thanks for your comment. I think it is possible to succeed without specific goals; but if you don’t have goals in the first place, how do you determine whether you have been ‘successful’?!? Smiley – Having a to-do list is the first step to planning goals. Just make sure you get what is on your to-do list done and before you know it you will be planning and achieving your goals.